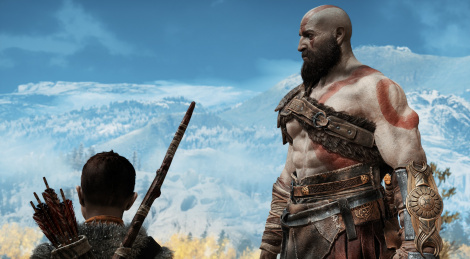 Three days was not enough to complete God of War and be ready for the end of the embargo with a review, so we decided to take our time and to give you our verdict later, when we actually can. We didn't want to leave you empty-handed though, so we worked like the devil to have some commented footage on Gamersyde this morning. Don't be too hard on us as we could only record it yesterday evening and we basically had no choice but to improvise. We hope you'll appreciate the effort and will be pleased with our content. Note: All our footage was recorded using the graphics mode which favors resolution. Sadly, for some unknown reason, the display area settings of our PS4 Pro had been reinitialized and all our captures were recorded while the game was not displayed in full screen. Because we were in such a rush to have our coverage ready in due time, we did not notice it and for that we are deeply sorry. The game is obviously full screen. Thanks for these, the videos are great. It looks spectacular to be honest...Art + tech, I think this is probably my new favourite looking game on PS4. Thanks guys, it was a crazy day yesterday, to edit the five videos, to record the voice 10 times (5 in French, 5 in English). I've added the second environment video. You've done a wonderful job. The game looks damn incredible. The game's technical quality and art are beautiful, and no one else does what you guys do. Best gaming site for videos! Also, I much prefer you take your time with the game and see all that it has to offer in the smallest details before doing a review. Rushing a game just to meet a deadline never ends well and is one of the reasons why so many reviewers tend to give some great games a lower score than they should get, since they miss some of the best things. So please take your time with it. PS. Like you and Blim said many times before, Gamersyde wouldn't be Gamersyde without its technical problems. "Sadly, for some unknown reason, the display area settings of our PS4 Pro had been reinitialized and all our captures were recorded while the game was not displayed in full screen. Because we were in such a rush to have our coverage ready in due time, we did not notice it and for that we are deeply sorry. " I was blown away with this game from it's first presentation, looking forward to play it. Great videos guys! Thx for the videos guys. Thanks, much appreciated guys. Glad you enjoyed the videos. Looks like the artists working on this game had a field day. It'd be interesting to see what concepts didn't make it in there as far as creature and environment design went. That's all fine and dandy, though. What I'm really interested in is the level design itself. Is this game open, or is it linear? Does camera pan back in places to open up the scale of things? In comparison to these games GOW looks decent. nothing more and nothing less. By the way: I'm not falling for pathetic game-testers (Dualshockers, Polygon, IG etc.) and their dubious "100%"-reviews. No game is perfect. It's a linear game with some areas that are more open to exploration and secondary quests. The camera always stays behind Kratos, except during cutscenes obviously. i don't know how each site categorizes a 10/10 but for most of them it doesn't mean perfect. Nothing is objectively perfect. 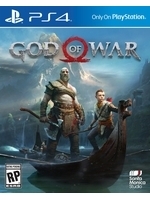 Over 20 high scores for GOW Ps4. good job to SCE. clap, clap, clap. It looks on par with Hell Blade visually, which i think that game looked pretty good actually. likely you'll see a small selection of games with better environments, i don't think that's much of an issue though. I think GOW ps4 looks to be worth every penny as a PS4 game. @ Environment #2 video. now that i think of it. I think Hell Blade might have better gameplay lighting. and i think Ryse too as well. strange that the environments shift in detail that much. there are times when you see high quality poster art detail and then it drops in other areas. Hellblades environments look gash. Flat excessively specular floors with a few wispy strands of grass poking through. The environments were the worst part of the game and painfully linear to boot. after going back and forth between the two, they each have something that the other doesn't. the video "Environment #2 PS4 Pro" though the lighting, shadows, and trees standout a bit. Umm those are both very nice looking games, but can't see how they look on par with GoW at all...Ryse especially...GoW looks quite a bit more refined in pretty much every aspect. It was an environment comparison. that's what it was. That is my point. The environment in the Ryse video looks quite less cohesive than what is shown in the GoW video. I think geometry and texturing are also superior in the latter.